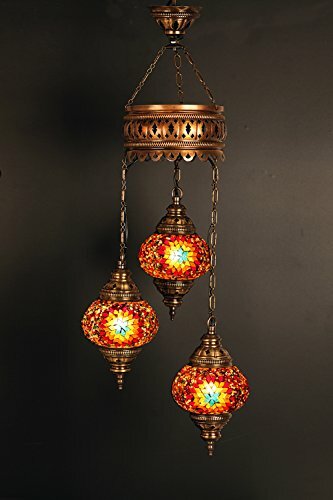 (Height: 23.6 in) Mosaic Chandelier Set 3 Globes, Handmade Authentic Tiffany Lighting Moroccan Lamp Glass Stunning Bedside Night Lights Brass&Glass Ottoman Turkish Style by LamodaHome at Al Dammam City. MPN: S-220. Hurry! Limited time offer. Offer valid only while supplies last.